※ Because Opening On The 17th (Fri) Is After Work, Please Call Us If You Wish To Visit. We Apologize For The Inconvenience, Thank You For Your Understanding And Cooperation. The Masuda Tracking and Communications Station was established at Tanegashima, Kagoshima Prefecture, in 1974 as a facility of the then National Space Development Agency. 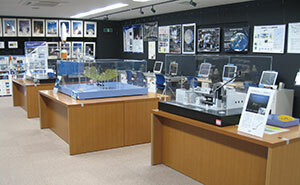 The main role of the Station is to receive signals from satellites, monitor if satellites are maintaining their proper positions and attitudes (satellite tracking and control), collect functional status data of satellites’ onboard electronic devices, then send any received data to the Tsukuba Space Center. 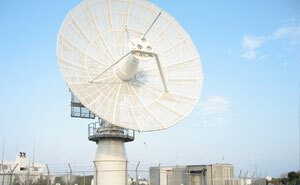 In addition, commands are transmitted from the station to satellites, if necessary, to maintain and control them. Apart from the satellite tracking and control facility, there is a precision radar at the station to track a launch vehicle and receive telemetry signals transmitted from a launch vehicle for monitoring its flight status. At the Masuda Tracking and Control Station, we have seven parabolic antennas. 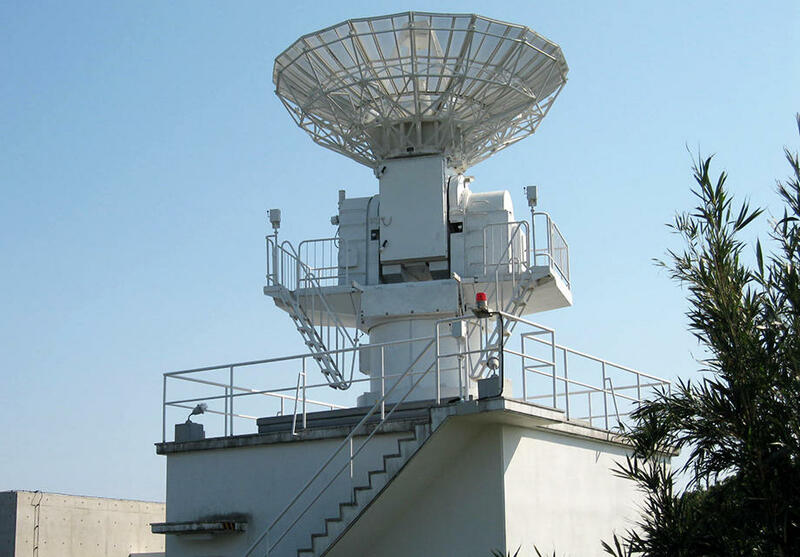 In addition, there are the First Observation Building, the Second Observation Building, the Satellite Laser Observation Building, the Transmission Buildings, the Power Station, and the Nakawari Collimation Tower. The exhibit hall is located in the First Observation Building, and you can enjoy learning about satellites and their tracking and control operations through panels and personal computer games. The exhibit hall is occasionally closed owing to rocket launches. Free parking lot for 15 passenger cars and 10 large-sized cars. At the exhibit hall, you can enjoy learning about satellites and their tracking and control operations through panels and personal computer games. 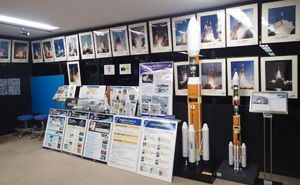 You can also closely examine scaled models of the H-IIB Launch Vehicle, the Japanese Experiment Module "Kibo," the International Space Station, and satellites. In addition, you can make a postcard with your face on it, and take a photo to make a sticker with your photo as a commemorative souvenir.